Prong Setting vs. Bezel Setting - Which Option is Better? Engagement rings, indeed all rings, are available in a variety of setting types. Traditionally, the “big two” settings have been prong and bezel. Both settings are materially, and visibly different, and both perform very different roles. Some cuts better suit one or the other, as do different diamond weights. But what are the pros – and the cons – of each? 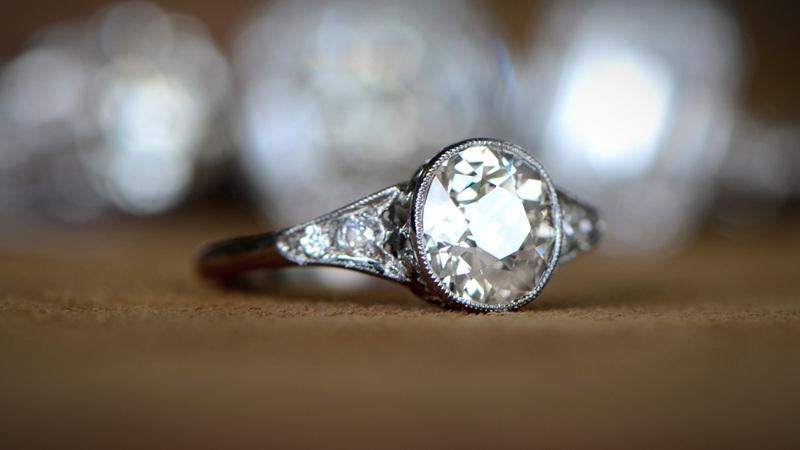 The prong setting is actually the most common type of ring setting. In its simplest form, it is 4 metal pins, at equal distances around the diamond, gripping the stone in its place like a claw. There are varieties of the basic prong setting, such as the 6-prong and Tiffany settings. 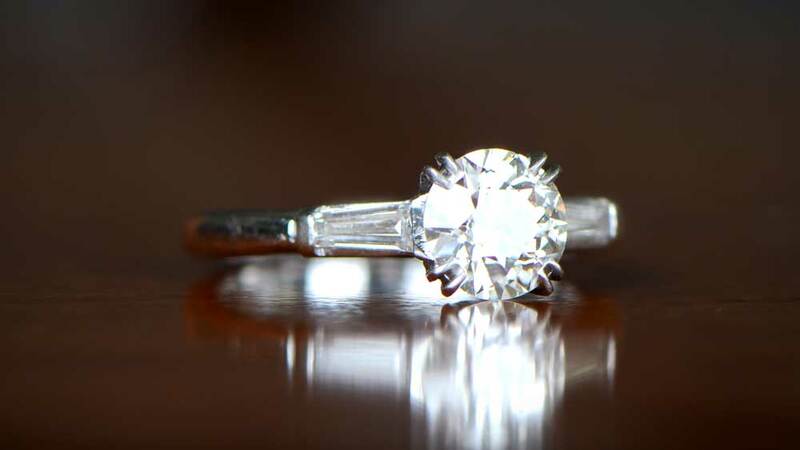 The Tiffany setting also has 6 prongs, but is a patented setting by Tiffany & Co, with distinctively shaped prongs. It is also common to see rings with 8 prongs. The bezel setting operates in a fundamentally different way to the prong setting. Instead of using a claw-type action to secure the stone, a bezel is a single ring of metal around the entire circumference of the diamond. The metal is usually the same as the rest of the ring, such as platinum or yellow gold. A prong setting is designed to show as much of the diamond as possible. The thin prongs hide very little, and allow the maximum amount of light to both enter and leave the diamond. This makes for more brilliance and fire than is usual in a bezel setting. The diamond itself takes on an “elevated” appearance, as the setting lifts the stone above the shoulders of the ring. Most cut types will suit a prong setting, although cuts with well-defined corners such as square, emerald or Asscher are less often in prong settings. A prong setting is also very easy to clean. There are far fewer places where dirt and grime can get to and, if they do, they are easier to remove. Prong settings are timeless. 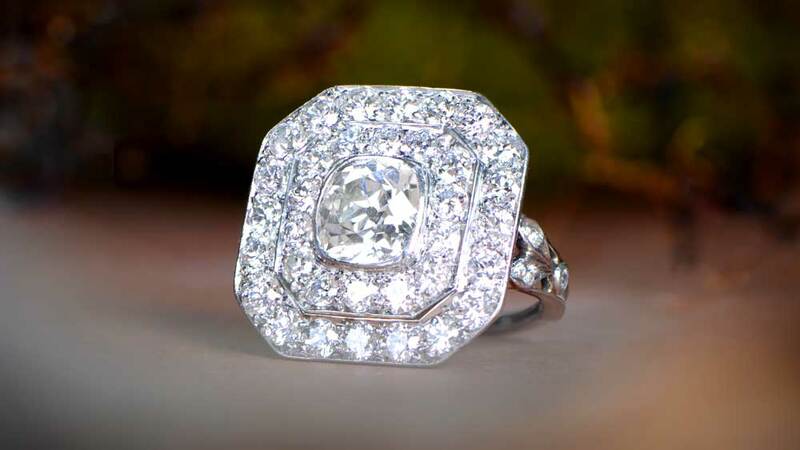 The reason for the popularity of the setting is largely down to how much of the diamond is visible. The ring of metal around the diamond in a bezel setting means it is very well protected from potential damage. 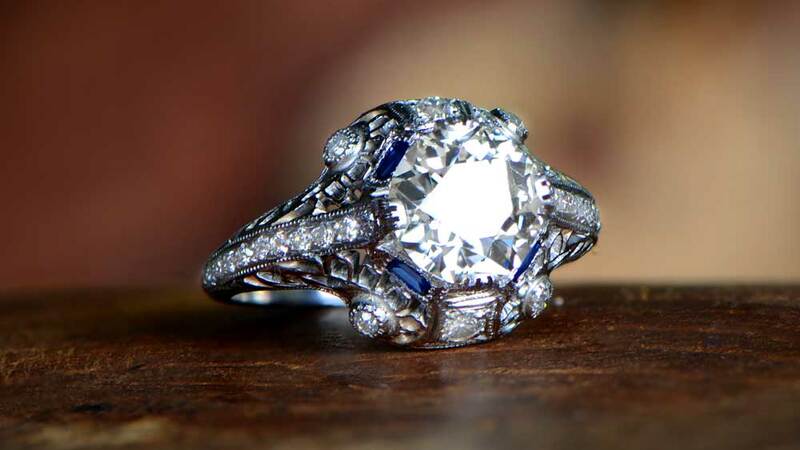 If the stone suffers an impact, the ring is far more likely to take the hit and leave the diamond undamaged. A bezel is very secure, probably the most secure of all setting types, in fact. Because the bezel is usually above the girdle of the diamond, the stone is firmly held in place all the time. A bezel setting is very sleek and modern looking. In addition, the bezel itself is less prone to damage due to the enclosed circular nature. Low sitting rings (aka low profile rings) usually tend to be bezel set. Despite its popularity, the design of the prong setting means it is prone to damage. It also means more of the diamond is open to impact, and this requires much greater care to avoid chipping. Prongs, by their very nature and construction, snag. Clothing is a real threat to a prong setting, due to the damage that can occur if snagged. It is not unknown for stones to be lost without the wearer even realizing until it’s too late. Prongs can also loosen with wear. Again, this is not always obvious until it is far too late, and the diamond has disappeared. It’s a simple fact that you will not see as much of the diamond in a bezel setting as you would in a prong setting. That more of the diamond is below the bezel line means that less light reflects back to the viewer. Bezel set rings generally tend to look a little bulkier than prong set rings. There’s definitely a reduction in the overall sleekness. So Which Setting is Best? As with many things in life, there is no “best” in this comparison. The pros of both prong and bezel settings far outweigh the cons. It will really come down to a personal preference and the appeal of the ring in question. The great thing about both settings is how different they are. This allows a definite separation between the visual properties of each and can allow the exact same stones to appear completely different in two different settings. If you intend to wear your ring all the time, a bezel setting definitely has the advantage, purely from a security point of view. The chances of damage or loss of a diamond from a bezel set ring are much lower than in a prong setting. However, you have that stunning 5-carat diamond and you want to show it off, right? In that case, a prong setting will do just that. 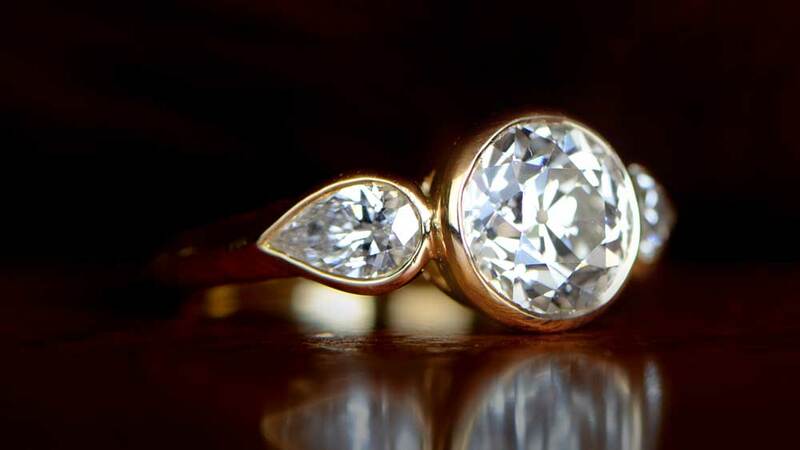 You do need to be a little more aware of what you do whilst wearing the ring but, as long as you understand that, a prong might be a perfect choice. The only real advise is look at both settings. Compare engagement rings with similar stones in both prong and bezel settings, and see which appeals most. It’s a little like choosing the puppy that runs towards you. When you know, you just know.